Through the years our weekends have certainly changed. There were the college years (and post-college years...) where our weekends were spent at restaurants and bars. Then there were the early years with kids, where our weekends were spent going to bed by 9 pm, or falling asleep on the couch, barely making it through a movie. But as the kids have gotten older, we are getting our mojo back in a whole new way. It's the dinner party! The dinner party is a wonderful way to spend time with friends while the kids play together (in another room...away from us....sometimes they join for a quick bite to eat!) When you get invited to a dinner party, should you bring a gift? 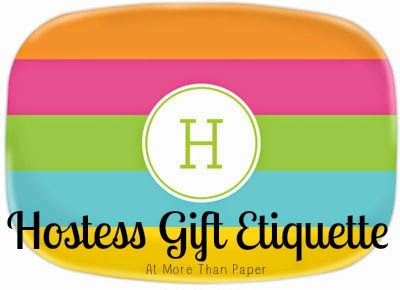 What's the etiquette on bringing hostess gifts? More Than Paper is here to help define when you should, and when you can skip, bringing a hostess gift to a dinner party, or any party for that matter. 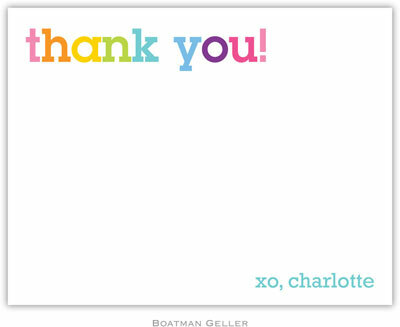 Always remember to write a note to the host or hostess! 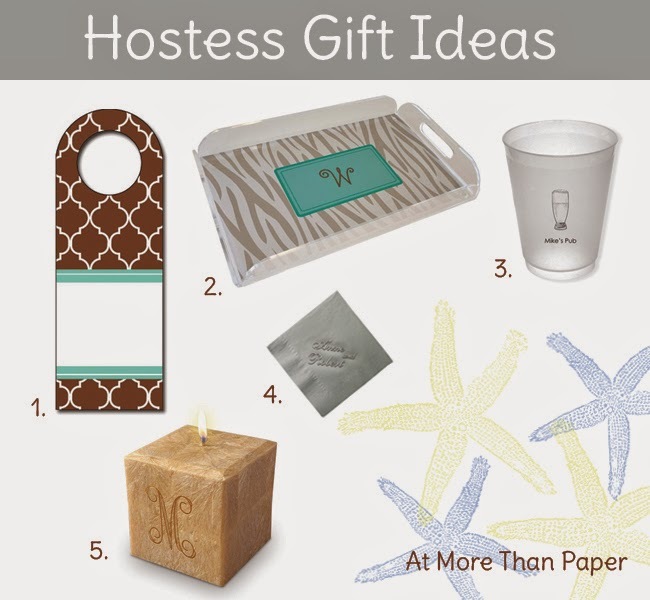 Here are some ideas for hostess gift giving this spring and summer. We love bringing items that people can use for entertaining. Other ideas are a bottle of wine, nuts, candies, homemade canned goods (jams or jellies), cookies or other food items. 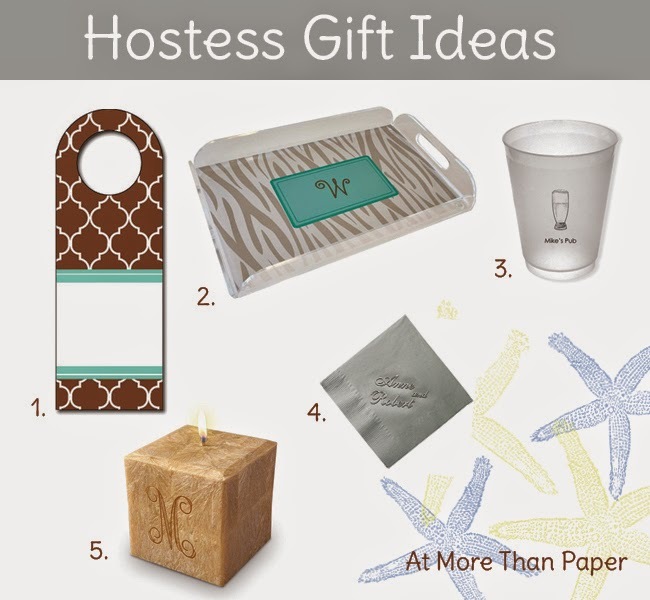 Find all these great hostess gift ideas here and let us know what you think!